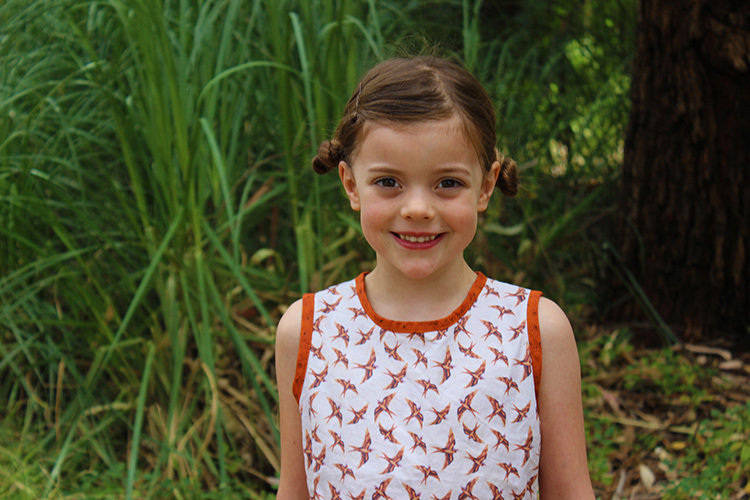 Today I thought I would share a dress I made a couple of months ago for Emily. 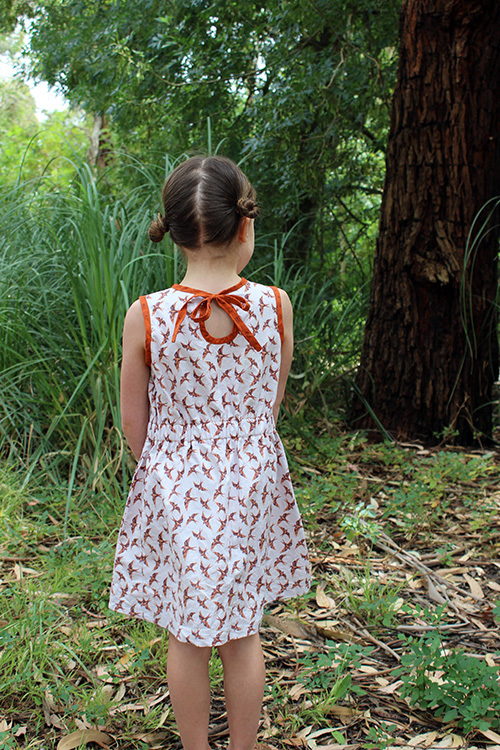 I discovered the beautiful fabrics designed by Australian designer Lauren from Thistle and Fox on IG late last year and absolutely adore her designs. 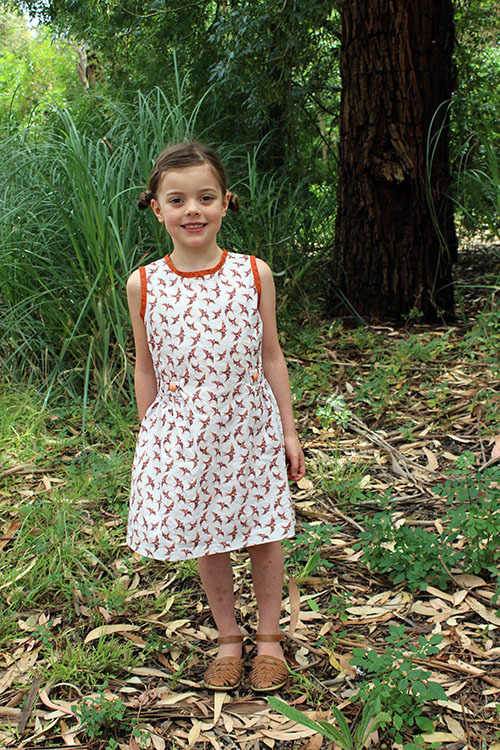 She has created so many beautiful prints, many of them being Australian themed, which I love. I purchased this fabric through Lauren's shop at Spoonflower. The print I chose is called Swooping swallow (in copper + peach). Isn't it gorgeous? I found it so hard to choose! Lauren also has a lovely IG account where you can see many of her prints and also her sewing. 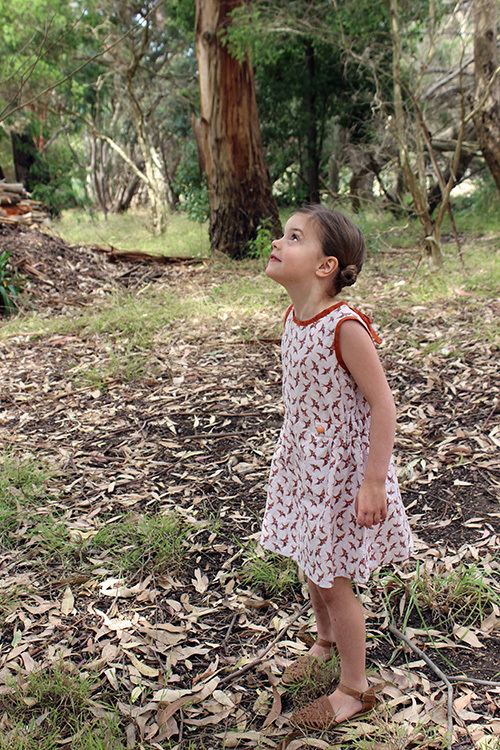 I ordered just a metre of regular cotton and managed to just squeeze this little dress for Emily from it. This is a possible future sewpony design...so many ideas with not enough time! The dress is loose fitting but is drawn in by elastic around the waist and accented with buttons. The armholes and neckline are finished with bias binding. 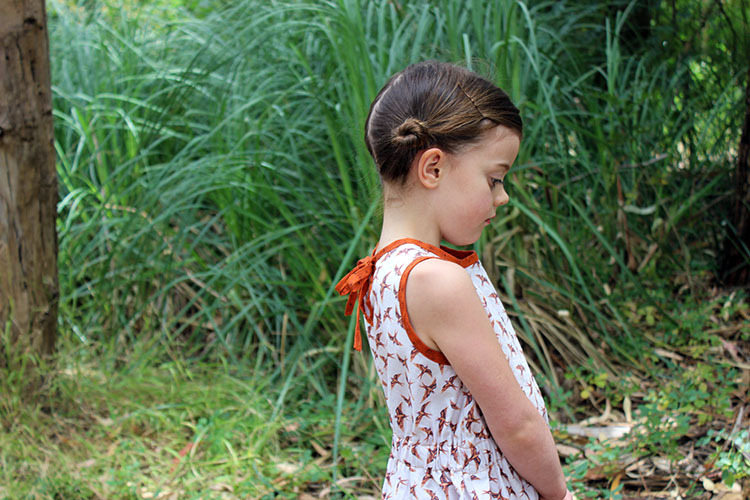 It's hard not to blend in to one's surroundings in a dress like this in a backyard like ours! I like the little key hole back opening. I used a rusty coloured print I had on hand for the binding. Emily has already had lots of wear out of this dress. Happy girl! I love to grow up pretty sure.